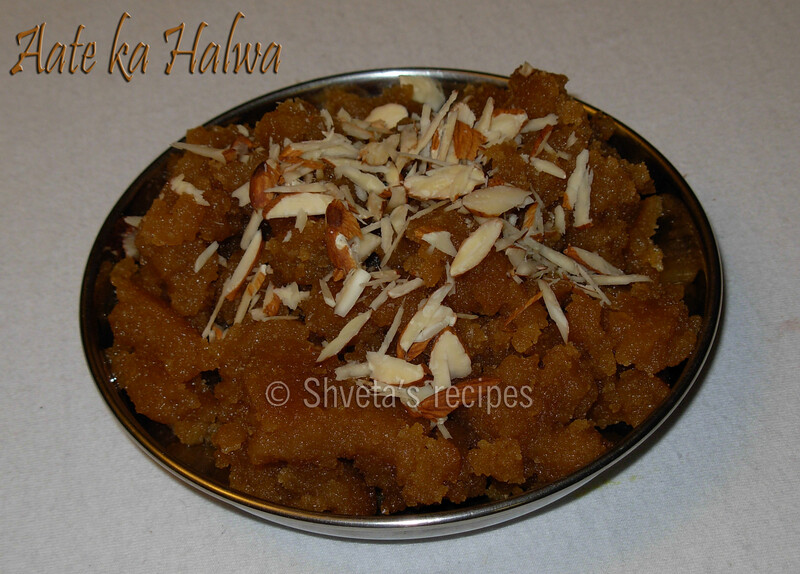 Aate ka halwa is the main offering for ashtami or navmi feast during Navratri. It is also called as kada prashad and is mainly served in all Gurdwaras. In a pan, at medium-high heat add ghee. Now add wheat flour to it. Mix well. Keep the heat medium low. Now in another pan, dissolve 1 cup sugar in 1 cup water on low heat. Stir it till all the sugar is dissolved. Turn the heat off. 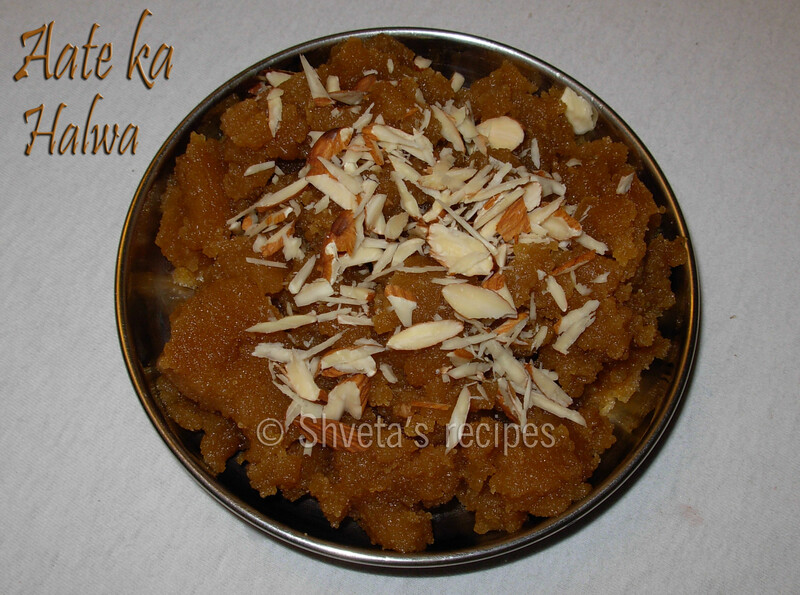 Keep stirring the wheat flour with ghee on medium low heat, till it turns golden brown and produces good aroma. Keep an eye on it otherwise it burns quickly. Now add already made sugar syrup carefully to the pan and keep stirring. It all becomes thick and starts leaving the sides. All happens very quickly. Add sliced almonds to the halwa and it is ready. Garnish it with 1 tbsp sliced almonds and serve warm. This is fantastis dish shweta, n ur blog too, I stay alone in mumbai so I tried many of ur dishes n they where truly amazing. Thanks for trying these recipes, Rohan!